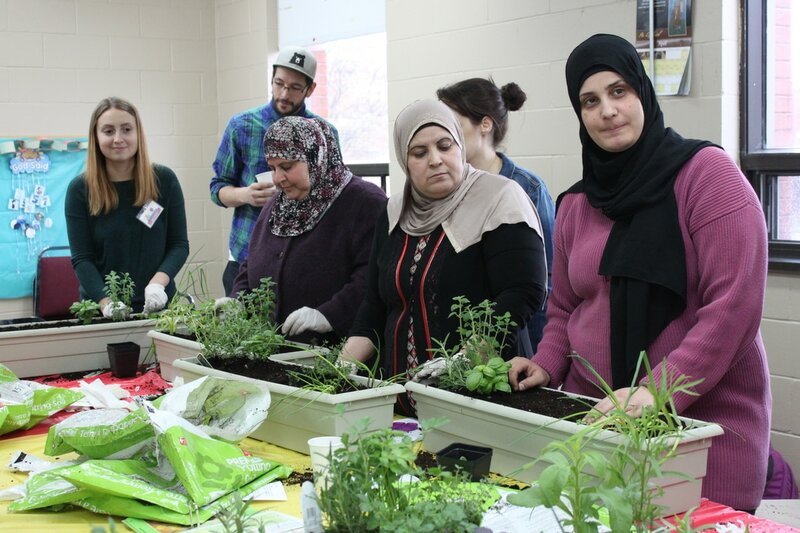 ​Amano Gardens in partnership with CANADA CONNECTS organized an instructive fun filled Garden Day at the Trailing Edge Community Garden (TTE) located at 295 Herzberg Road in Kanata. The activity took place on Saturday August 4, 2018 from 4-8 pm. 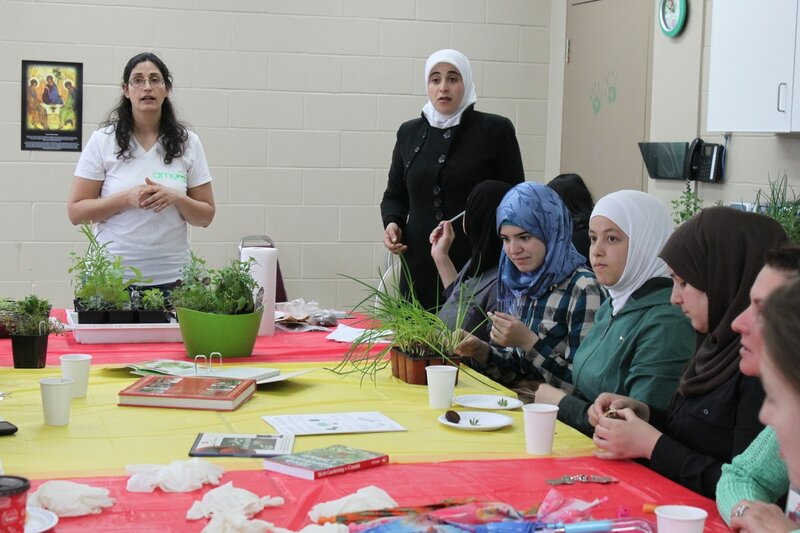 ​The Garden Day’s objective was to gather Syrian new comers to Canada who are either farmers or interested in farming to meet and to get to know each other, as well as to introduce them to and educate them on a specific gardening technique called Permaculture/Hugelkultur. The event gathered 70 participants. The Garden Day started off by welcoming participants and then touring them around the TTE Community Garden. The main gardening activity started after with a brief introduction to Hugelkultur. Then the hands on training took place. The participants dug a 15 m long by 1.5 m wide trench, mounded it with logs, branches, leaves, and grass that were collected from around the garden. Then they topped those with soil and had it ready to plant strawberries. ​It was a physically demanding activity on a hot summer day. Patricia Wallinger, founder and Executive Director of Amano Group, worked hand in hand with participants and explained the process to them step by step in English. The CANADA CONNECTS project coordinator translated those instructions to Arabic language. 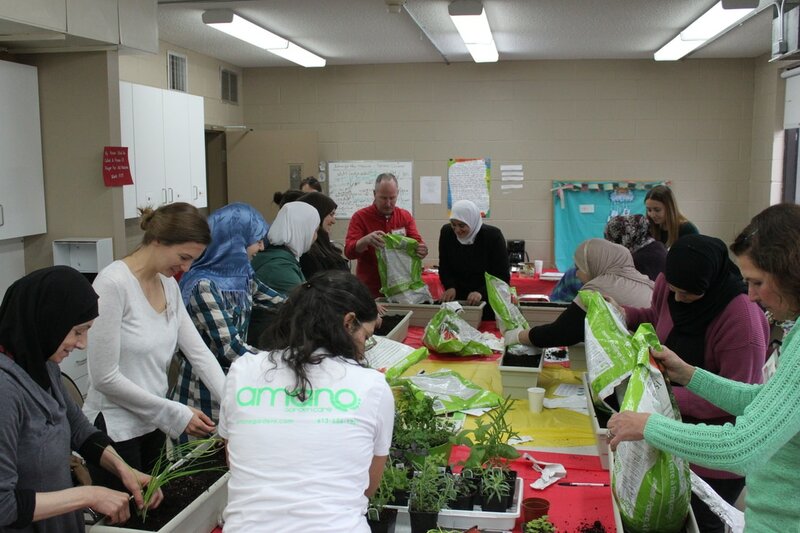 Amano Gardens was invited to facilitate a gardening workshop for Syrian refugees on Saturday May 6th. This event was organized by the Ottawa Chinese Community Service Centre (OCCSC) "Canada 150 HOST Project." We had nine participants and six volunteers. We would like to thank OCCSC "Canada 150 HOST Project" for this great opportunity, the women who participated in the workshop and all the volunteers for their help. ​It was a fun morning!